Steaming rice bran Fried purpose: to make through steaming Fried rice bran of grain increase, is advantageous to the solvent penetration and reduce the solvent content in the bran meal, it to the operation of the whole leaching process have a significant impact. When steaming and frying, should be add water and directly into the steam, adjust the moisture of material pulp, evaporate and the temperature of the material after embryo should be 108-110 â„ƒ, water content of 9% to 9%, and then use the open ground transport, in order to reduce the moisture content and temperature, then through jacketed ground dragon to heat up, into the leacher of embryos for 60-70 â„ƒ temperature, moisture content of 6% to 6%. 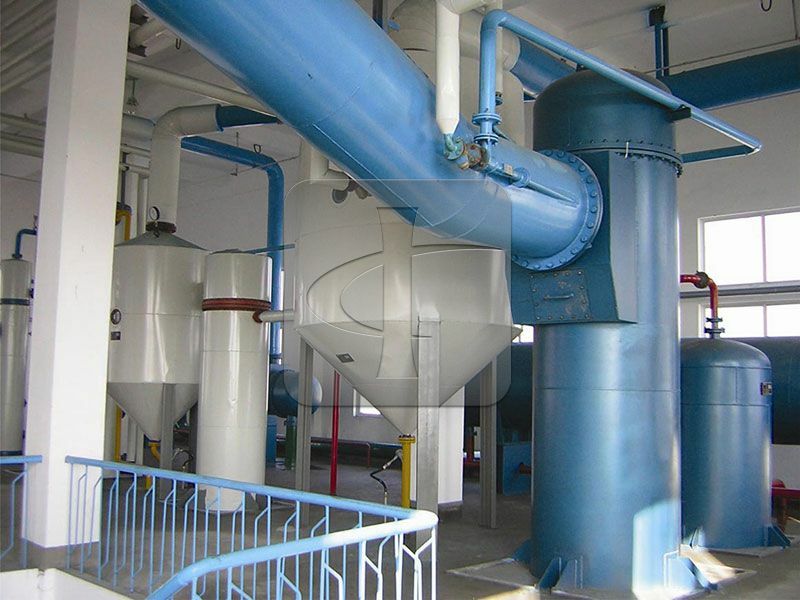 Cooling rice bran is the purpose of steaming and frying, and to water, so that material embryo, penetration, to raise the temperature again, shell prompt protein denaturation, further oil viscosity reducing, is helpful to improve the yield efficiency.